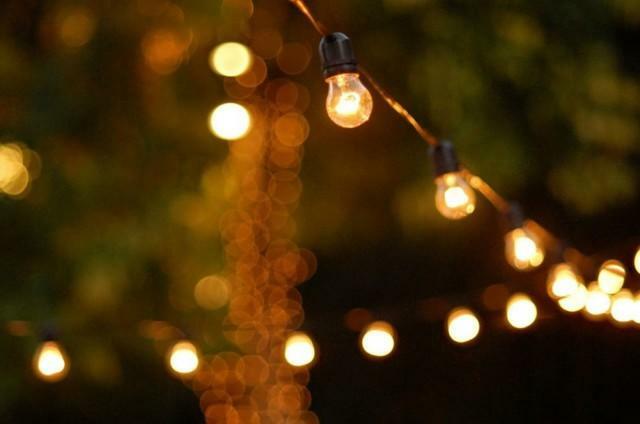 Festoon lighting is available in 50ft strands and can be installed in a variety of ways. These are warm lights that create a very relaxed and formal atmosphere for any occasion. Price is $1 per foot. Please give us a call if you have any questions about installation.